Daniela Bianchi is an Italian-born actress, a former beauty queen, and a former fashion model. She had a successful but shortlived acting career between 1958 and 1968. She starred in several European movies but only a few of them were in the English language. Bianchi became famous on the international scene when she played the role of Bond girl Tatiana Romanova in the hit 1963 spy film From Russia with Love, the second installment in the James Bond film series. More recently, she featured in the 2012 documentary film We’re Nothing Like James Bond, her first screen appearance in over 4 decades. Daniela Bianchi was born in Rome, Italy on the 31st of January 1942. She was born into a noble Italian family. Her father was a retired army colonel while her grandmother held the rank of a Marchioness. Growing up, she studied ballet for up to 8 years. However, she was reportedly unable to continue with ballet dancing when she matured into a rather voluptuous young woman. Bianchi’s first professional acting experience was in the French film En Cas de Malheur (1958) in which she was an uncredited extra. She equally ventured into the world of beauty pageantry during her late teenage years. She won the Miss Rome title in 1960 and ultimately took part in the 1960 Miss Universe contest in which she finished as the 2nd Runner Up. This earned her much exposure and it also gave a major boost to her budding acting career. She also ventured into the world of fashion modeling around the same time. 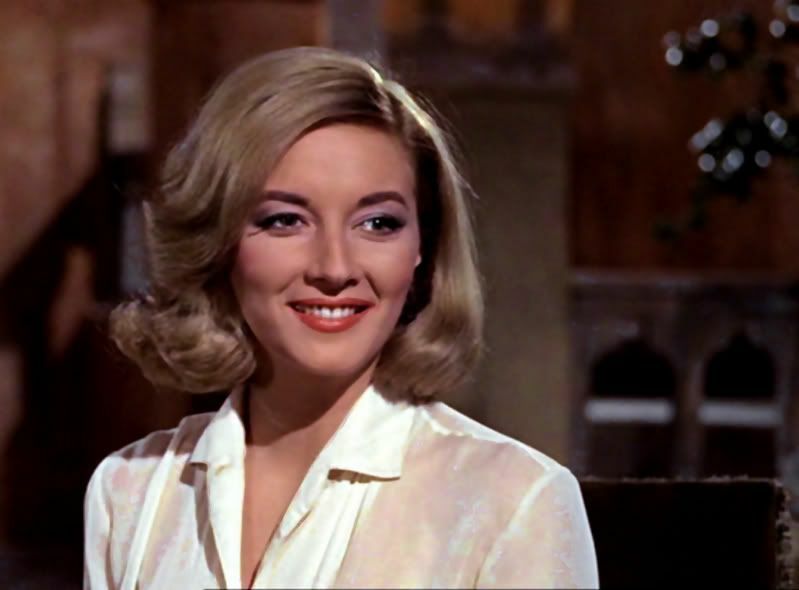 Daniela Bianchi’s earlier acting roles were in the French film Les Démons de Minuit (1961) and the Italian film Una Domenica d’estate (1962). She was also on the cast of the Spanish movie La Spada del Cid (1962) in which she portrayed the character, Elvira. Bianchi’s biggest acting role was in the box-office hit spy film From Russia with Love (1962) in which she played the role of Tatiana Romanova, the love interest of the lead character James Bond, portrayed by Sean Connery. She had caught the eye of the James Bond producers following her successful outing at the 1960 Miss Universe contest. Following her breakout role as Bond Girl, the talented actress featured in several European films, mainly French and Italian. Her film credits include Le Tigre Aime la chair Fraiche (1964), Slalom (1965), L’ombrellone (1966) and Balearic Caper (1966). She also appeared in Special Mission Lady Chaplin (1966), Requiem per un Agente Segreto (1966), O.K. Connery (1967), Dalle Ardenne all’inferno (1967) and Scacco Internazionale (1968). Bianchi’s most notable small screen appearance was in the NBC medical series Dr. Kildare (1964) in which she played a recurring role as Francesca Paolini. Daniela Bianchi was married for nearly 5 decades to Alberto Cameli, a magnate involved in the shipping business. They had one child together, a son named Filippo. Details about Bianchi’s family life are quite scanty as she went under the radar after quitting acting in 1968. 1. Daniela Bianchi is 5 feet 7 inches (170 cm) in height. The gorgeous Italian native was voted Miss Photogenic at the 1960 Miss Universe contest. 2. Bianchi spoke very little English and with a heavy accent. For her role as Bond girl Tatiana Romanova, her voice was dubbed over by English actress Barbara Jefford. Sadly, her limited English-speaking skills eventually hurt her chances of becoming a full-fledged Hollywood leading lady. 3. She remains the only actress of Italian origin to play the role of the “Main Bond Girl”. Other Italian actresses who have been featured in James Bond films have all played secondary roles. 4. Daniela Bianchi was only 21 when she appeared in the James Bond film From Russia with Love and she remains the youngest actress to ever portray the Bond Girl character. Interestingly, she was chosen out of more than 200 other actresses to play this career-defining role. 5. In November 1964, Bianchi appeared on the cover of TV Guide magazine alongside American actor Richard Chamberlain, the leading Hollywood hunk of the 60s and her television co-star. By so doing, the actress made history as the first main Bond Girl to grace the cover of that magazine. Other Bond girls who have also featured on the cover of the magazine include Diana Rigg, Jane Seymour, Maryam d’Abo, Carey Lowell, Denise Richards as well as Halle Berry.